We first heard about this rally through our own Orkney Vintage Club ( www.orkneycommunities.co.uk/orkneyvintageclub ) and thought that it would make quite a nice 'off Island' break for a weekend. 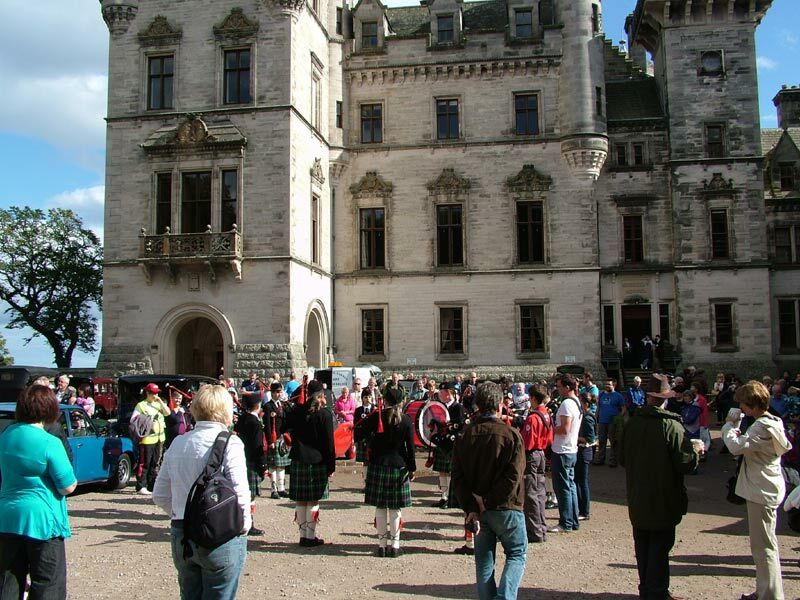 Dunrobin Castle is situated in the lovely village of Golspie in Sutherland and although we have visited the area many times, we had yet to visit the Castle. We booked the ferry from Stromness to Scrabster and a B and B in Golspie for the Saturday and Sunday nights. The Mini needed nothing more than a quick check over and topping off with fuel and screen washer fluid before loading up with our gear. The rally actually starts in Helmsdale, a few miles further North of Golspie, from the main square but we were not exactly sure of the location, so we pulled in behind a lovingly restored lorry in one of the many lay-bys on the A9 and were invited to follow them to the start. As usual, we arrived early and found a grand place in the car park to wait for the multitudes of magnificent vehicles to arrive. It was bright and sunny as we filled out our registration form and chatted to the assembled enthusiasts. Just arrived and registered - time to go looking around some of the fantastic entries. 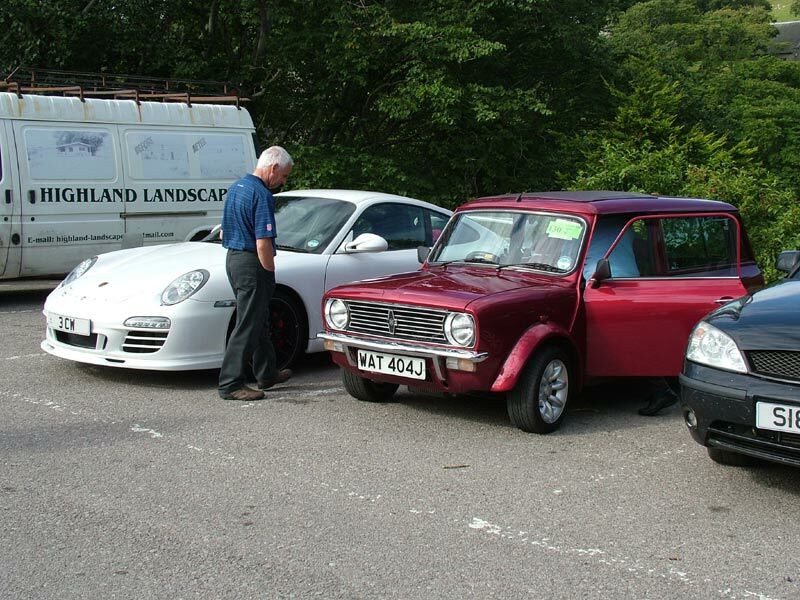 I'm always amazed at the amount of interest shown in the Mini - I suppose you don't see that many now, except at Mini shows of course. 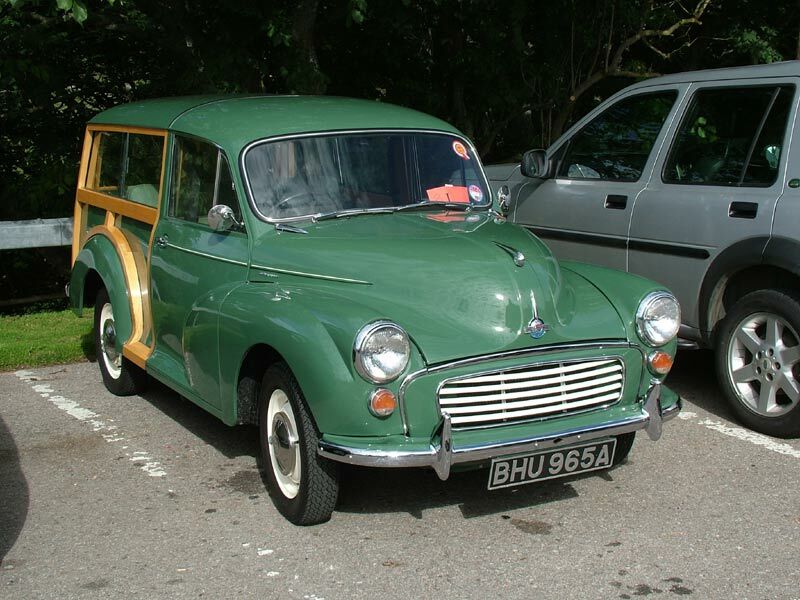 It seems that most people have some recollections of these iconic little cars. About the best Traveller I have ever seen - a real credit to the owner - sorry I didn't get chance to find out more about it. 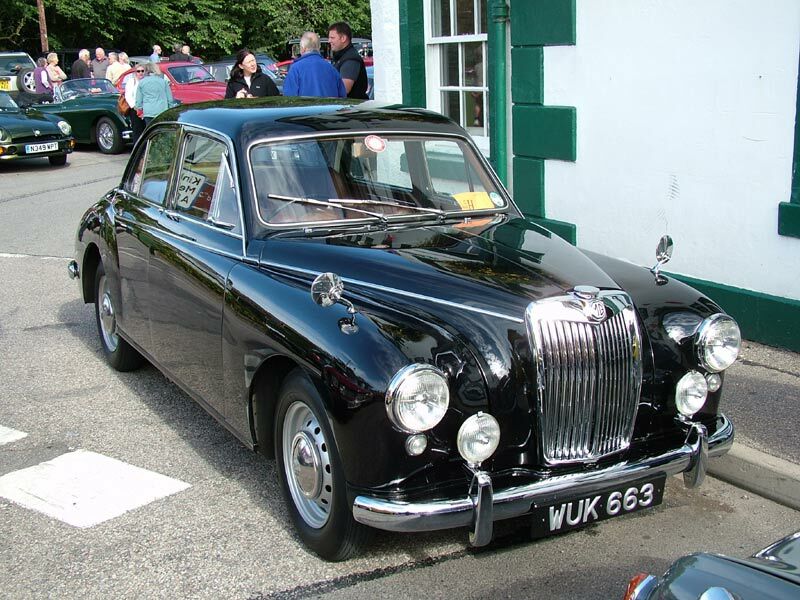 A fine example of an MG Magnette Varitone with the big rear screen. 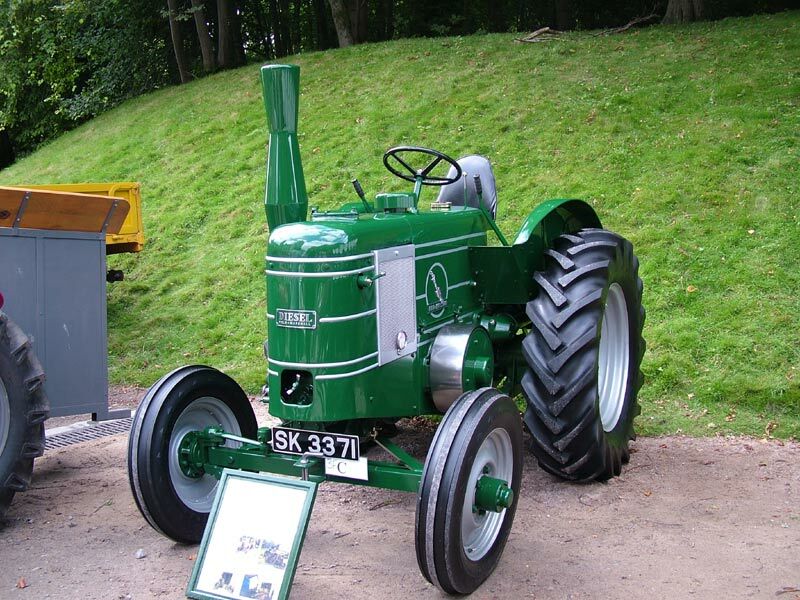 I had one of those in the late 60's and my Uncle George had a pale green one when they were current models. 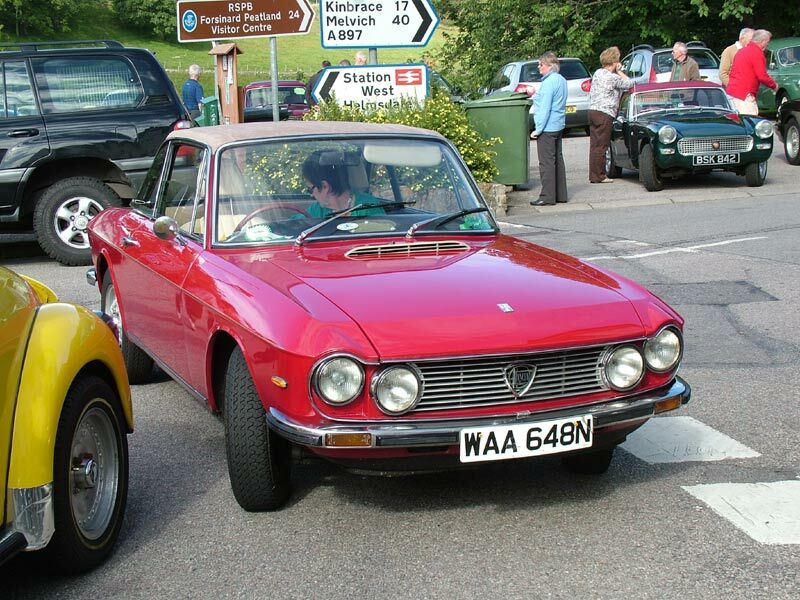 They had quite a good spec - leather seats, wood dash and a twin carb 1600 engine. 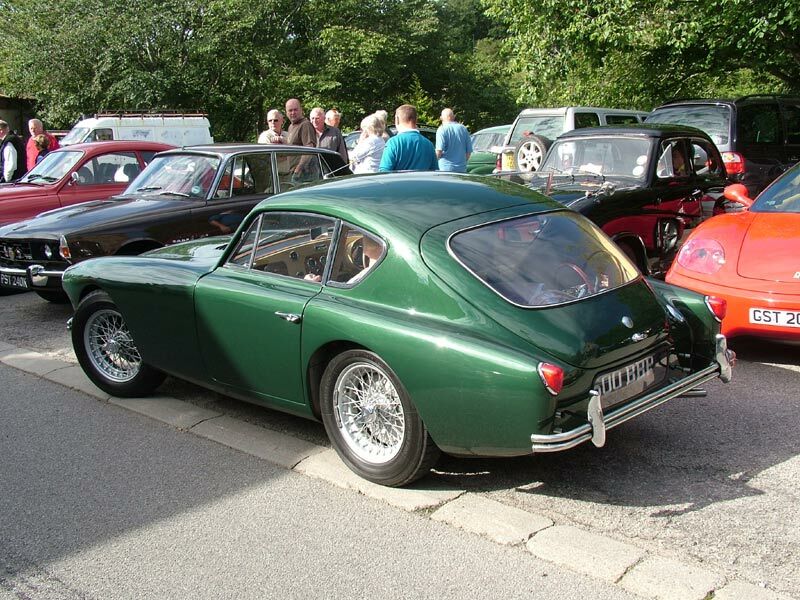 A new one sold in 1958 for £1111, when a Mk2 Jag was about £1700, the car which it was hoping to compete with. Our first stop on the road run came quite quickly in the very pleasant surroundings of the square in Brora. Where have they all gone? 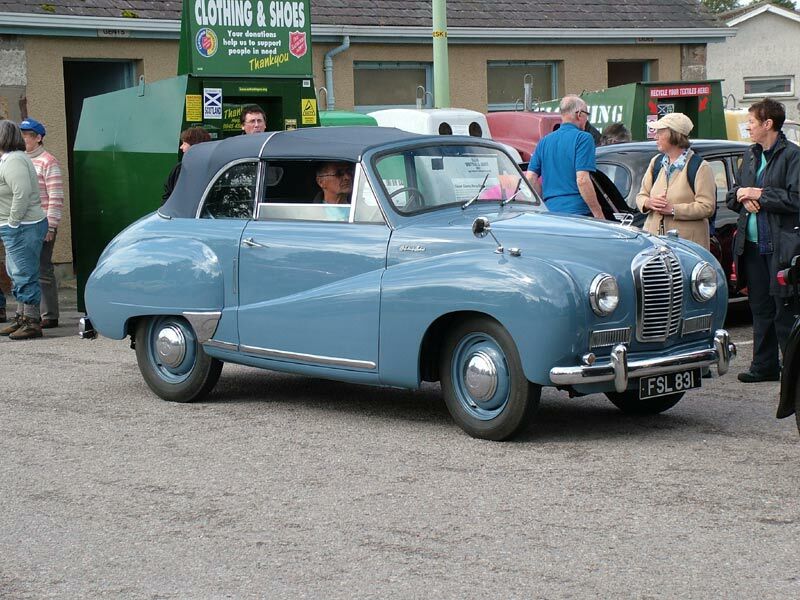 A fantastic Austin A40 Somerset Convertible which sounded really crisp. 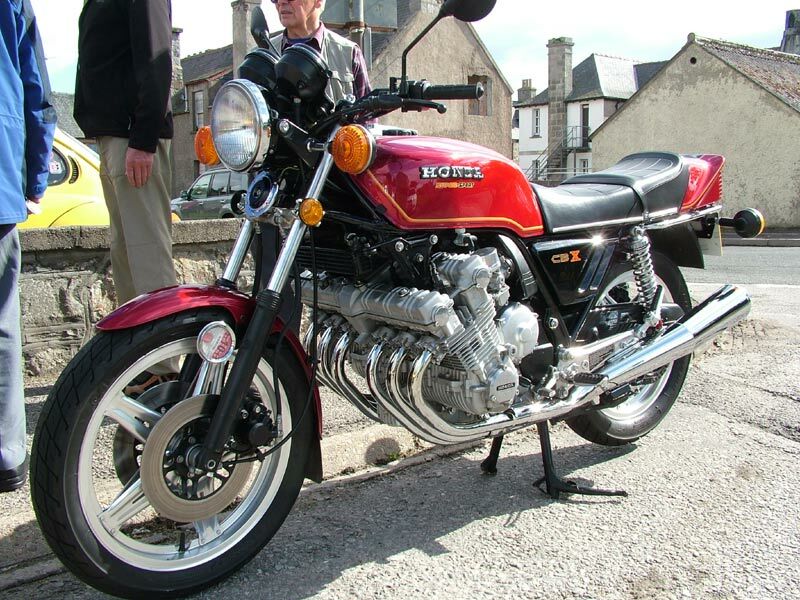 I had one of these up until we moved to Orkney which has now been lovingly restored to standard condition, as has this splendid example of Honda's classic CBX - 6 cylinders, 6 carburettors, 24 valves and 4 separate camshafts. To keep the engine width to a minimum the alternator is mounted behind the cylinder bank and the lower outer covers are even bevelled off to increase cornering clearance. When riding, it was like sitting behind a block of flats - and that is coming from a Honda Gold Wing 1500 owner! Following a lovely ride through the lanes to Embo with fantastic views around the Firth, we spent quite a long break for brunch wandering around the ever increasing number of vehicles in most of the main street in Dornoch. 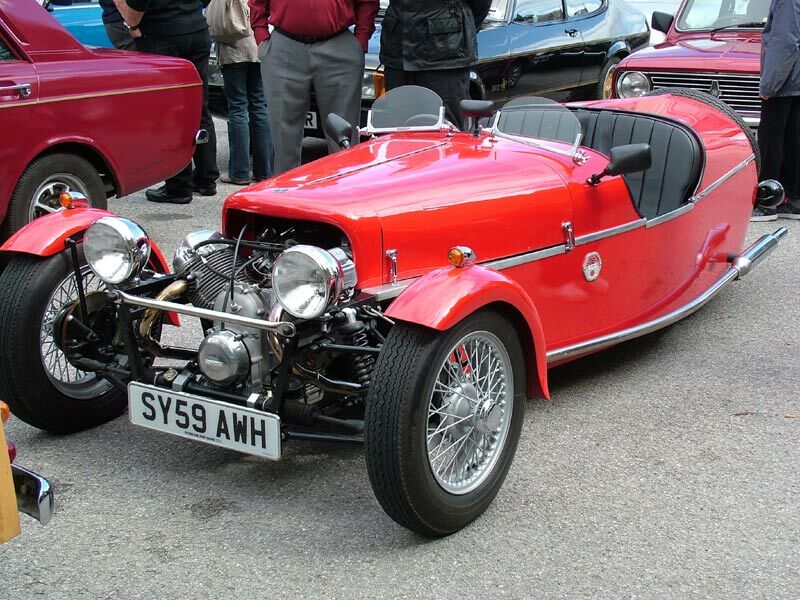 This lovely 3 wheeler kit was built by the owner - an 80 year old retired GP, who just happened to have lived most of his life in the very same house which is now the B and B we were staying at! It's a BRA MG3 model (MG from the Moto Guzzi powerplant) and the Kit is made by Aero Cyclecars (www.aerocyclecars.com) and sounds fantastic with those simple silencers and long downpipes. On arrival at the Dunrobin Castle we parked up and just wandered around in the warm sunshine, before queuing to get our prepaid meal and then had time to investigate the many glorious exhibits. A Pipe Band turned up to entertain us in the afternoon sunshine, not be confused with Jocks with Frocks - these were the real McCoy and sounded brilliant. I wish I could say the same for the musical accompaniment for the dancers - the PA system was unbearably loud and distorted. Some time late in the afternoon I was pleasantly surprised to see a fellow Motorcyclist from Orkney - Norman runs the Peugeot Dealers there and was just down on a Sunday afternoon run with a few mates. All in all a great weekend away in some stunning surroundings with great company. Our sincere thanks to Edward Mackay and his team for organising it all.